Like acupuncture, acupressure seeks to restore health by restoring the normal flow of chi, the life energy that flows through the body along the pathways called meridians. 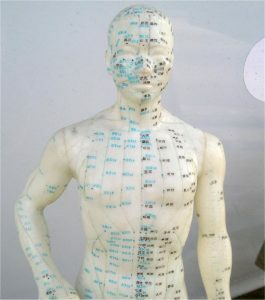 While acupuncture uses the insertion of needles to promote energy flow, acupressure uses finger and hand pressure. During pressure stimulation, neurotransmitters, which help to inhibit the reception and transmission of pain, are released. Acupressure is a safe, simple and inexpensive treatment.